This year, we’re creating a volunteer appreciation journal to highlight our tremendous volunteers, award winners and the impact they have on the shul. One of the perks of being a sponsor for the Volunteer Appreciation & Awards Weekend celebration and fundraiser is a journal ad. Ads are available in full, half and quarter page sizes, depending on your sponsorship level. You can choose who you’d like to recognize among the award winners or synagogue volunteers. A standard greeting will be used in all ads by default. However, if you’d like to submit a personalized greeting for your ad, you are welcome to do so. Sponsorship levels are listed below. Contact Bob Greenberg or Marjorie Perlman with questions. 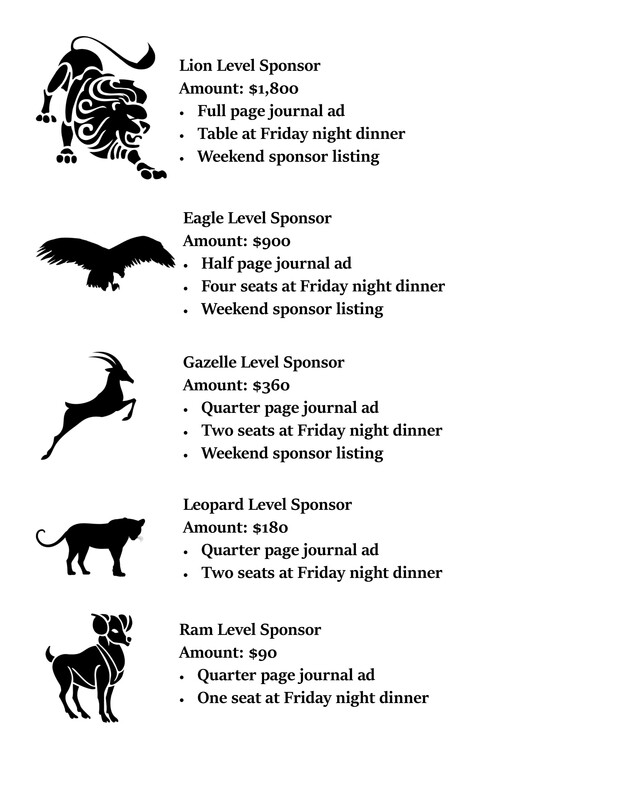 What animal level sponsor would you like to be? Click here to make your commitment today.